True or false? Owls are known as one of the wisest birds.
. Give up? Ok. False. For many years, humans have portrayed the owl as wise. However, they arent smarter than a lot of birds, although they are amazing hunters. It was found that owls may even be worse at problem solving compared to big-brained birds like the crows and parrots. Pretty interesting huh? Why did the Owl say Tweet, tweet? Because she didnt give a hoot! Are you as wise as you think you are? Test out your riddle solving skills with our owl riddles below to see! Ok. Now woos ready for some owl fun? 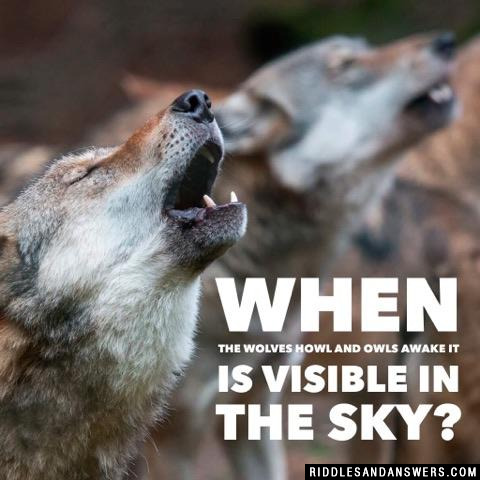 When the wolves howl and owls awake it is visible in the sky? What do you get when you cross a ghoul with an owl? Something that scares people and doesnt give a hoot! 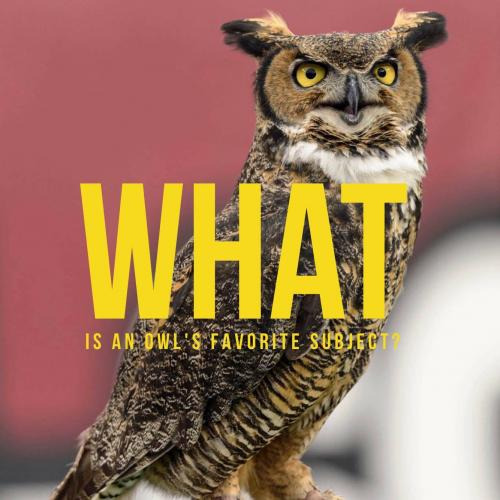 What type of books do owls like to read? A bird that doesnt give a hoot! What did the owl say to the other owl? What happens when you cross an owl with a mouse? What does an owl do his math with? Why didn't the owl skeleton go to the movies? Because he didn't have the gut's to. An owl son and a owl father were flying and they got hit by a car. The son and the father went to the owls padil. They went into different rooms. The doctor said "I can't work on this boy owl, he's my son. "Who was the owl doctor? Can you come up with a cool, funny or clever Owl Riddles of your own? Post it below (without the answer) to see if you can stump our users.